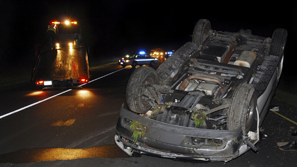 The results can be deadly when a car accident or truck accident causes a vehicle rollover. When an SUV, small van, or light truck is turned on its top, both the driver and passengers are at serious risk of significant neck and back injuries or even death. Poor design or auto manufacturing flaws often are to blame. The lawyers at The Law Offices of Frank L. Branson have handled many vehicle rollover and roof crush cases for clients in Texas and across the country. Our team relies on the latest computer technology and sophisticated digital imaging to create detailed animations that show exactly how vehicle rollover and roof crush accidents happen. This is the kind of evidence that makes judges and juries take notice. Auto manufacturers have a legal obligation to produce vehicles that are safe. Our attorneys make sure they are held responsible when that doesn’t occur. In addition to fighting for fair compensation for clients’ injuries, we have worked to improve safety in the manufacture and design of cars and trucks. To learn more about our experience in vehicle rollover and roof crush injury matters, we invite you to contact the firm here.